AFTER YEARS OF disappointment and false promises, we’ve reached the point where virtual reality (VR) is now not only possible but accessible thanks to smartphones now doubling up as VR displays. One of the companies working on their own platform is Google’s DayDream Labs, which announced its VR platform back in May, and it’s has been experimenting with different ways of preventing harassment and encouraging good behaviour in virtual spaces. Even though you know you’re in a virtual world, your senses still treat it like the real thing. It’s the same reason why you react when you accidentally walk into a virtual table or try to lean on it. 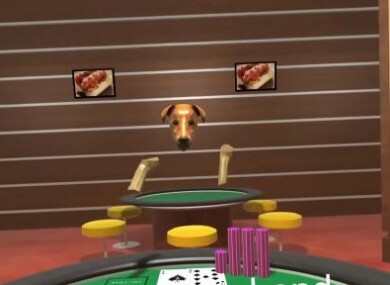 In one of the examples, it showed a poker game played by floating dog heads. The idea was that if someone weren’t happy with the result and tried confronting the other player, the platform would recognise this and turn the screen grey to disorient them. They also disappear and are unable to interact with the space until they return to their original position. At the same time, it also looked at ways to encourage users to perform positive actions like high-fives by using fireworks animations and haptic feedback like the controller vibrating to reward it. The reason for that is because Google found that when you place people into a virtual room, one of the first things they’ll do is look for ways to physically interact with each other. As more smartphone makers start bringing out VR headsets to compliment them – Google’s DayDream is a platform which is designed to do just that – more people will be in possession of devices which allow for such experiences. Email “These floating dog heads show how harassment in virtual reality can be curbed”. Feedback on “These floating dog heads show how harassment in virtual reality can be curbed”.